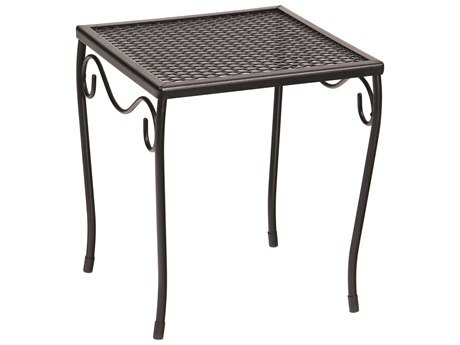 An outdoor end table provides a compact and decorative table solution, appropriate for styling with various patio arrangements. 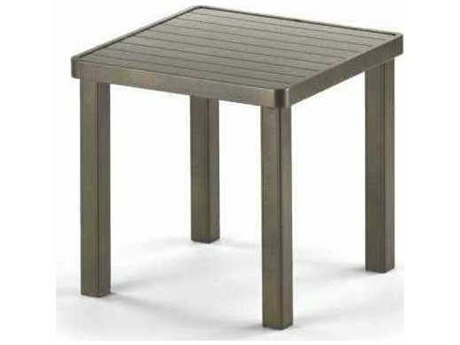 These tables bring an element of functional use as well as decorative appeal to any patio, dock, backyard, balcony or additional outdoor living space. 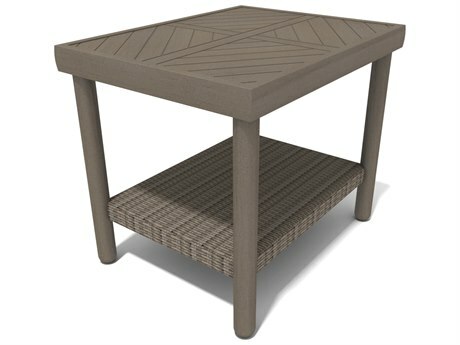 PatioLiving carries end tables appropriate to nearly every outdoor setting, with styles that range from traditional to modern. 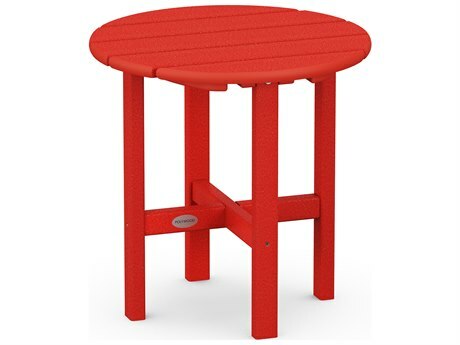 Available options include numerous shapes, sizes, materials, and colors. 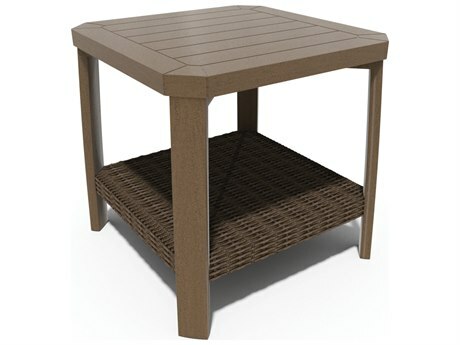 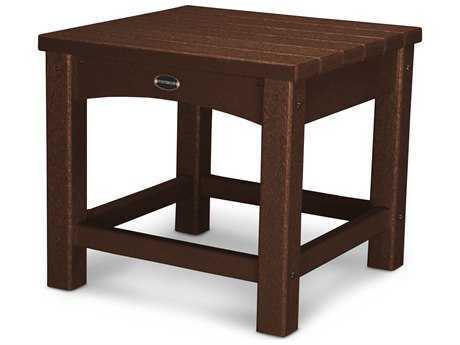 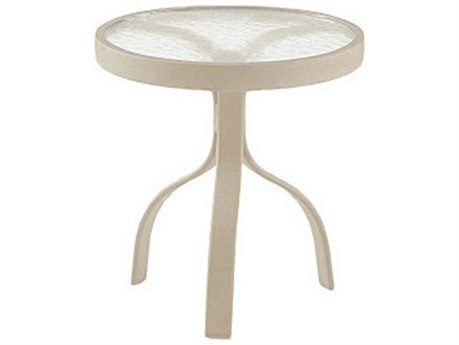 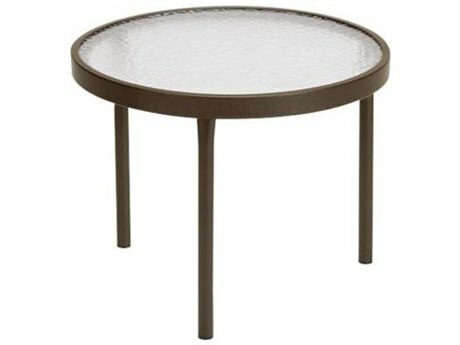 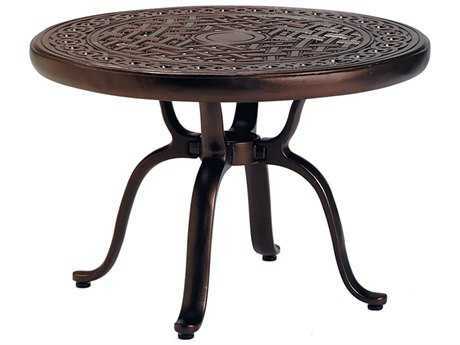 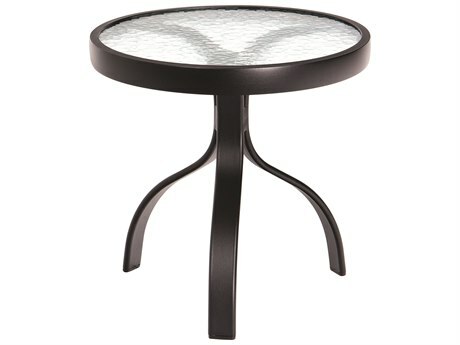 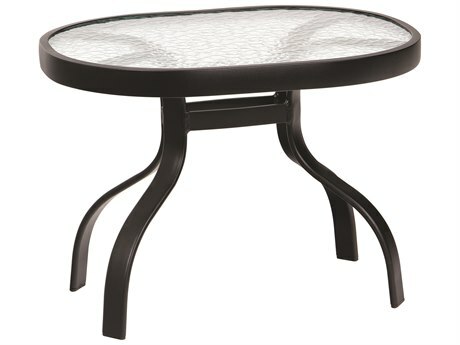 Small enough to appear in nearly any outdoor setting, an outdoor end table can complete any existing patio arrangement. 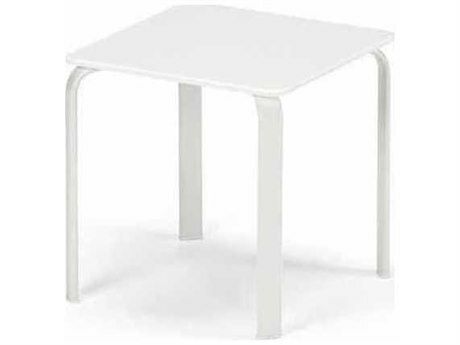 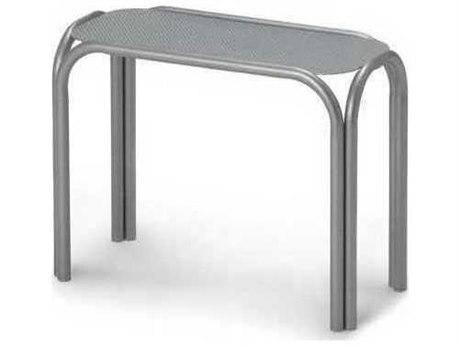 These tables provide a functional and inconspicuous table surface in small or compact settings where larger table varieties, like dining tables or console tables, may not fit. 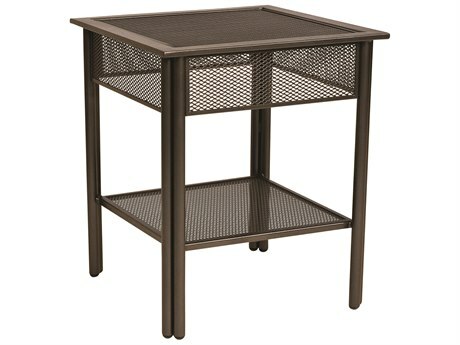 Select models include additional functional elements such as lower shelves, drawers, ice buckets, or glass tabletops. 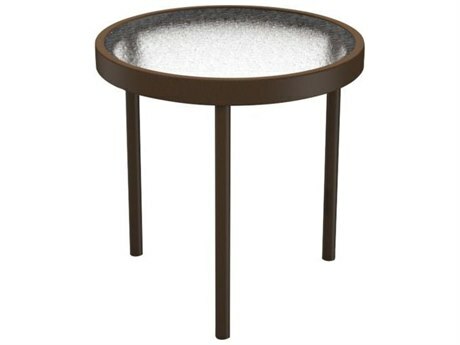 Wedge end table models are ideal for styling as a part of circular lounge sets. 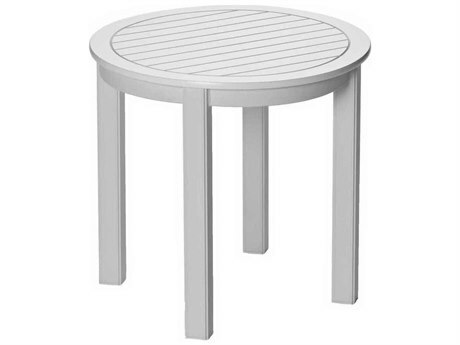 In addition to single outdoor end tables, nesting styles are also available, providing versatile additional table space that can be nested when not in use for an uncluttered look. 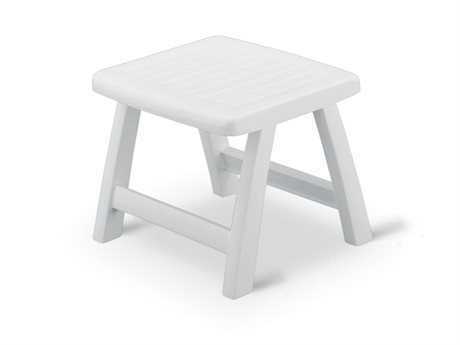 To counter their small stature, most models feature splayed legs or sturdy plated feet to ensure stability in inclement weather. 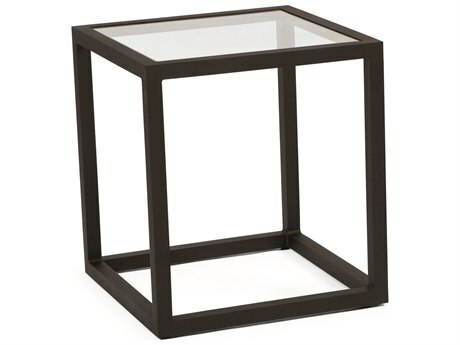 As a merit of their small size, end tables are relatively light and portable. 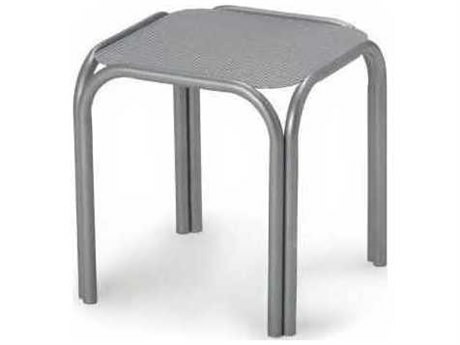 They can be easily shifted or rearranged to accommodate changing needs, and available folding styles offer optimum mobility. 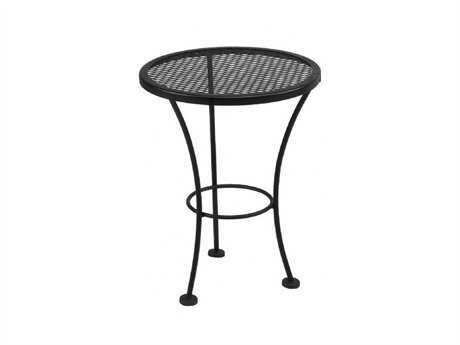 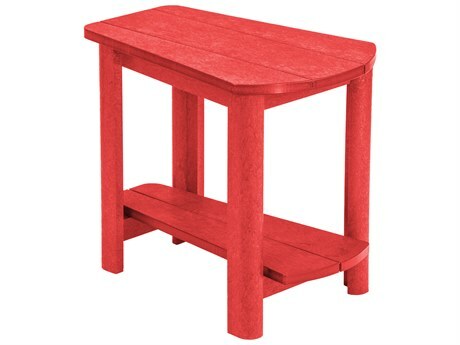 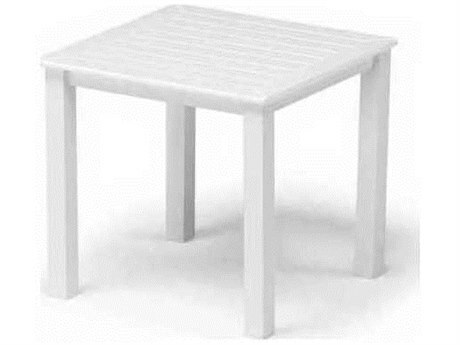 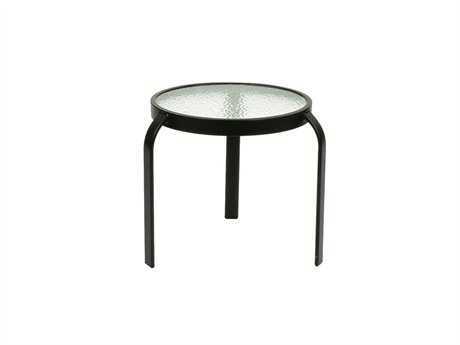 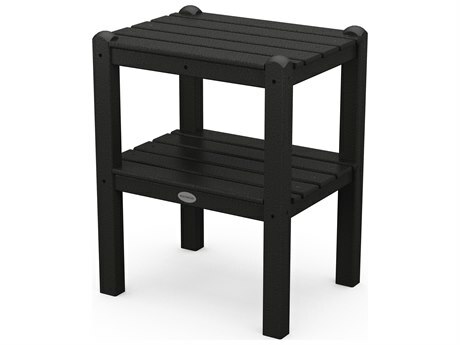 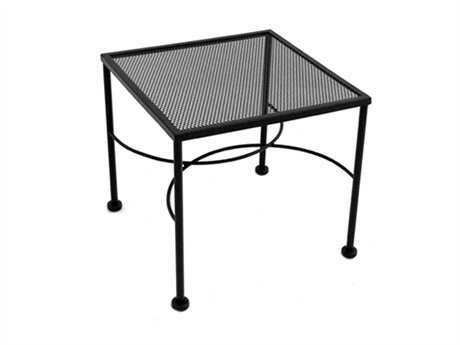 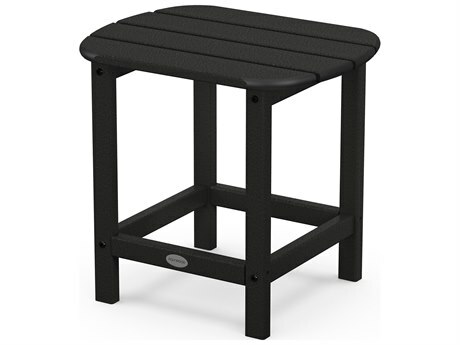 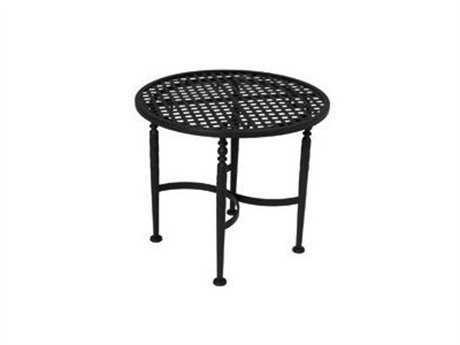 Outdoor end tables are manufactured from popular, durable materials, with aluminum, cast aluminum, wrought iron, and wicker among the most common selections. 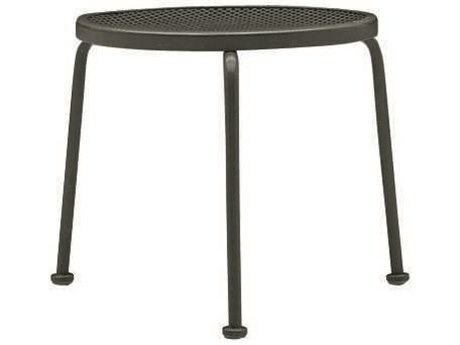 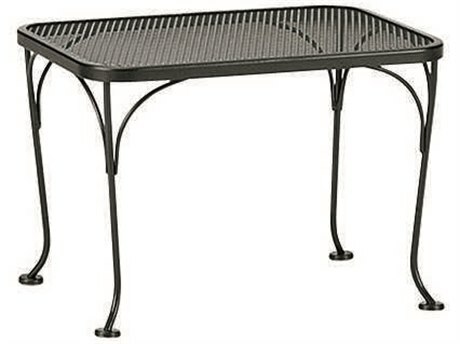 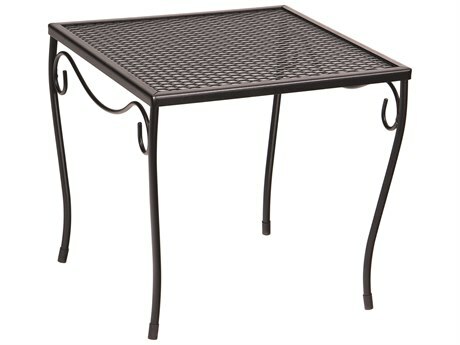 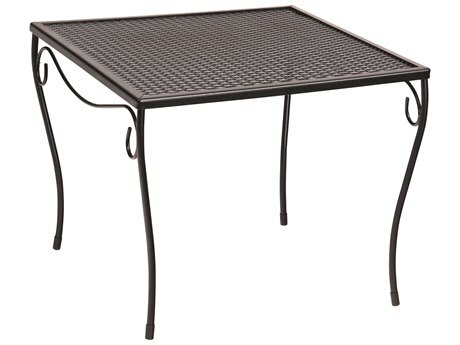 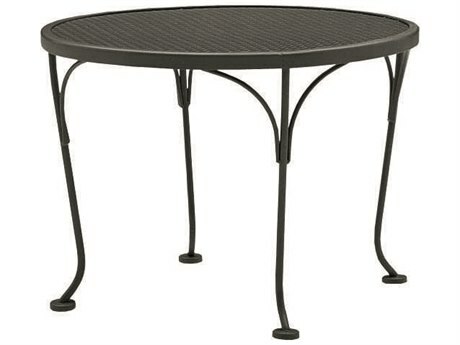 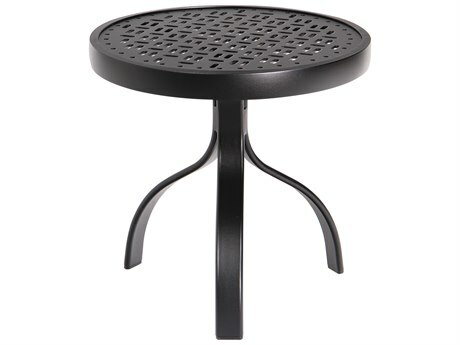 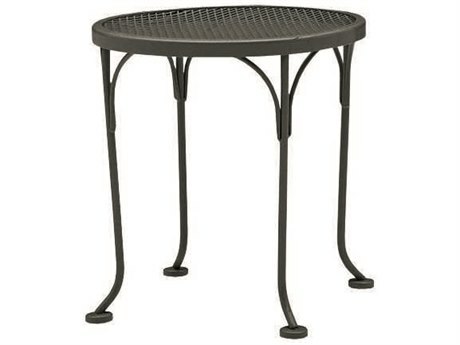 Metal patio end tables contribute to a classic and sleek aesthetic, easy to incorporate into any existing patio set. 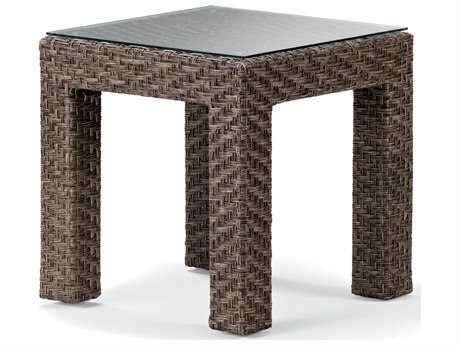 Wicker selections are popular for their signature woven styling, and can feature either a closed or open base design. 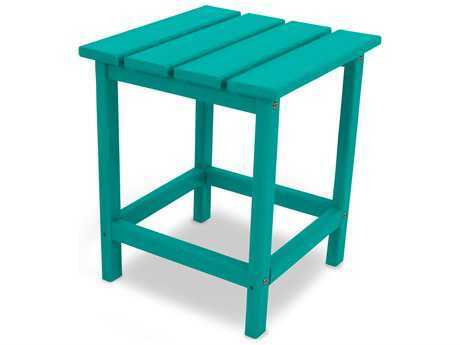 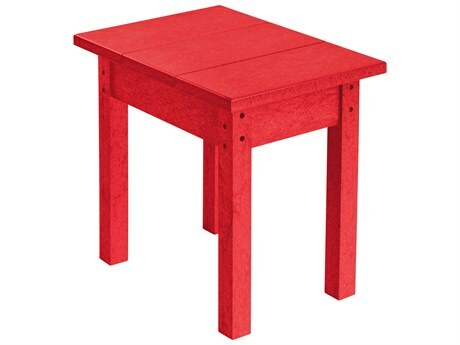 Most tables are weatherized for long-lasting durability even in inclement climates, and numerous finish and color options are widely available across all materials. 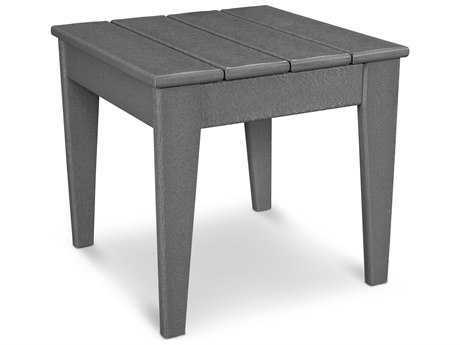 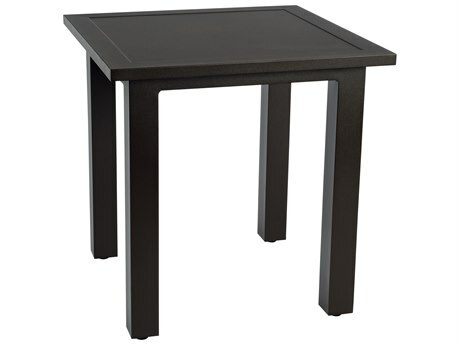 Outdoor end tables provide a compact and versatile table surface that pairs well with most furniture arrangements. 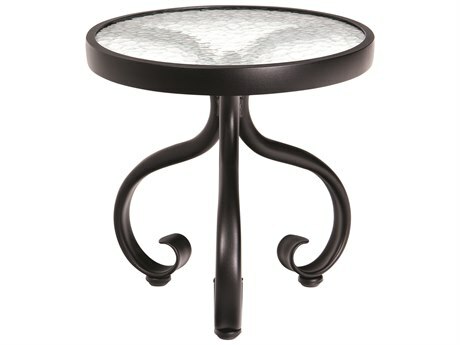 An end table can serve as a place to set drink glasses, reading materials, or decorative accents. 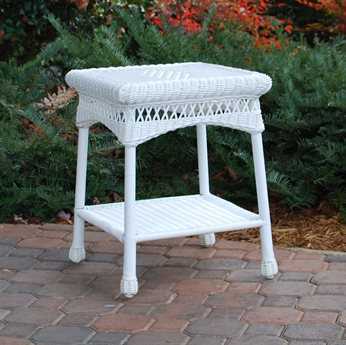 These tables can also be placed to the side of any sofa or loveseat to complete the look of a traditional patio lounge arrangement. 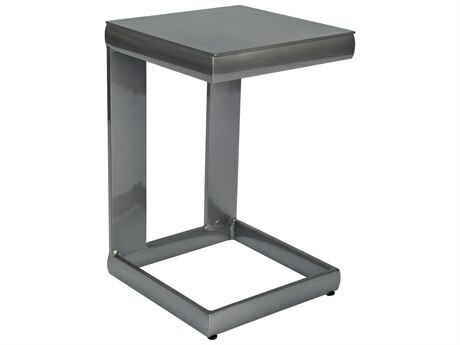 Cantilevered end table styles, open on one side, are ideal for pairing with chaise lounges. 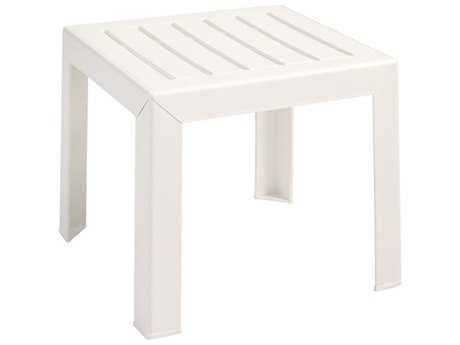 The table surface of these models can be suspended over the chaise for optimum access and ease of use. 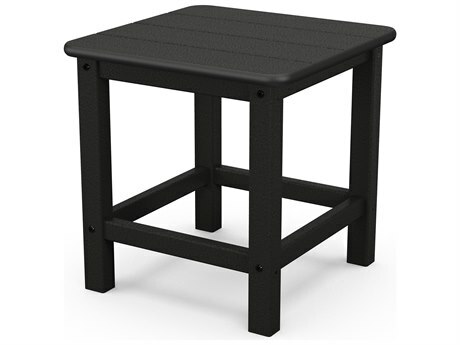 Patio end tables can also be used as stand-alone furnishings, near any door or entry for holding essential indoor or outdoor items. 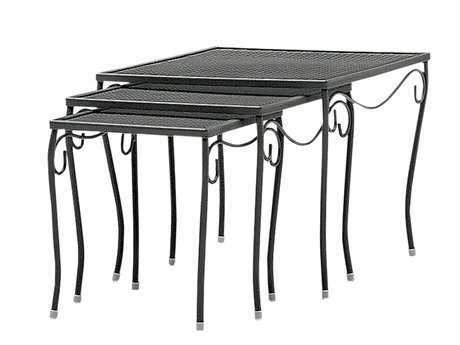 Don’t worry if you can’t decide on which table to buy! 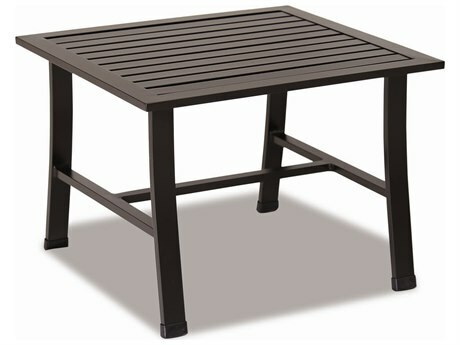 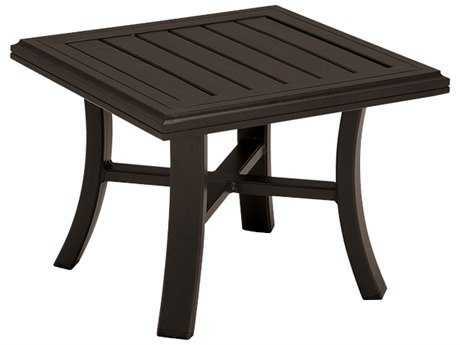 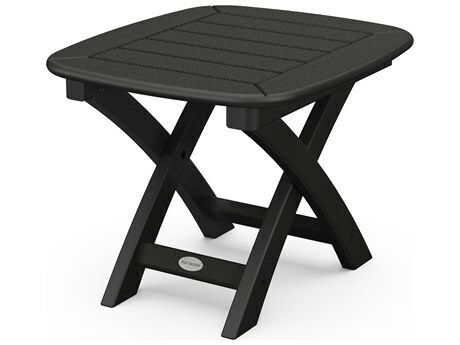 Read PatioLiving’s Patio Tables Buying Guide to get more information and make an informed purchase.